​We are an Atlanta-area based firm providing Expert Witness, Structural and Forensic Engineering Consulting Services to the Legal Community. All parts of the USA are readily accessible from Atlanta. The General Public has faith in the design and construction industry to provide safe facilities and, on the rare occasions when codes or standards are not met, structural materials are under strength, extraordinary loads are experienced on the structure, safety methods on site prove to be inadequate, or injuries are experienced, Mr. Head is available to assist Attorneys to research the facility or building component to determine the history of the facility or component and why it failed to perform as expected or designed. 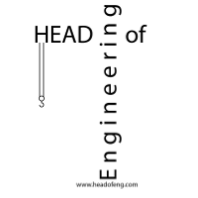 ​HEAD of Engineering staff has provided structural engineering services since 1977, while being part of the team at some of the most prestigious structural consulting firms in the USA and world-wide, in the design, evaluation, repair and retrofit of structures of all types. In our extensive career we have been responsible for the design of structures, including every structural building component. We have been involved in the construction of those buildings and resolved the issues that inevitably arise. ​​We take seriously our responsibility to not only design buildings that will be safe for the occupants but to assist in practices that make the construction process safe for the workers and the public, often in close proximity to the construction project. We have carried out forensic investigations on new and old buildings, specifying appropriate repairs as necessary, and have been employed by Attorneys to carry out forensic investigations as an expert witness. This experience has given us a very good understanding of the science of structural behavior to allow us to be considered an "Expert Witness" in litigation proceedings. ​We have also gained a keen understanding of the design and construction process regarding the responsibilities of the engineers, architects, contractors and owners in the development and execution of the project. Consequently, we can assist in cases that encompass the entire building process in the Design/Bid/Build and Design/Build and the GMP (Guaranteed Maximum Price) delivery systems. ​​We have a wide variety of technical experience on different project types with a diverse portfolio for new construction, renovation and forensic projects. They include educational facilities, healthcare facilities, aircraft hangars, airline terminals, residential facilities, arenas, central utility plants, churches, concert halls, convention centers, hotels, laboratories, manufacturing plants, military facilities, office buildings, parking garages, performing arts centers and radiation treatment plants. Click the adjacent button for a detailed listing of our experience by Structural System and Type of Building and a Gallery of Photographs of some of these projects.